Play.com has revealed a new PAYG price of the Sony Ericsson X10 Mini and Mini Pro and it's got the two handsets locked in at a low price. 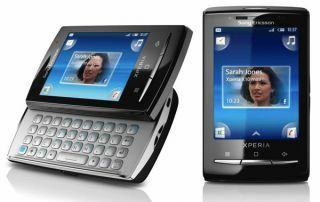 According to Play, the Sony Ericsson X10 Mini is available from the site for just £119.99 and the Mini Pro has got a price tag of £139.99. Both of these handsets are on a PAYG basis with Vodafone. The two Android handsets are a refreshing update of the X10, with the main difference between the two being that the X10 Mini Pro offers a flipout QWERTY keyboard. The X10 Mini Pro is available now from Play.com, while the Mini X10 is currently out of stock. To be honest, at this price the two handset will get snapped up in no time, considering that both phones have now been given an Android 2.1 update.